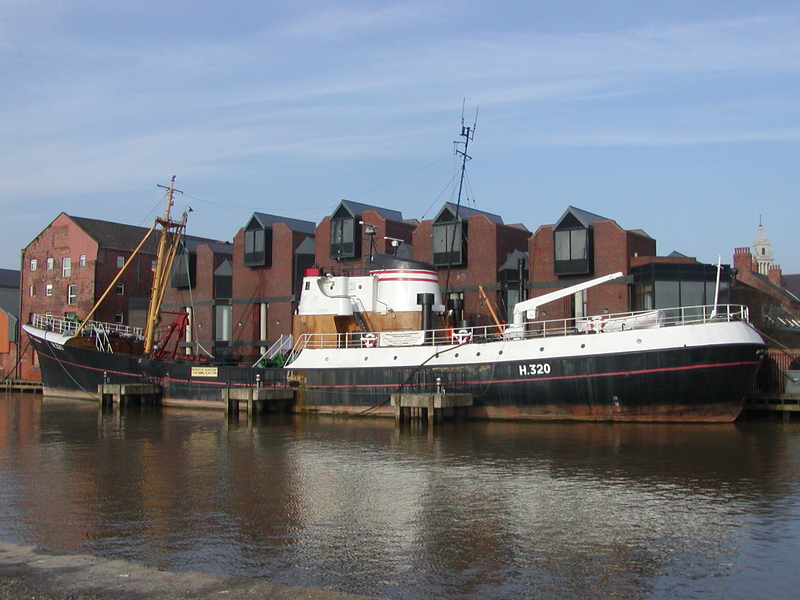 The Arctic Corsair is the only distant water side trawler consistently accessible to the public in this country. Built in 1960 in Beverley, East Yorkshire by Cook Welton and Gemmell the Arctic Corsair is of steel welded construction consolidated with riveting at frames and stringers. Designed and built as a side winder trawler the Arctic Corsair underwent conversion in 1978 to undertake pelagic mackerel fishing. This included significant adaptation to the aft superstructure to allow a form of stern fishing where the nets were shot from aft and hauled part way in before transfer round to the starboard side for hauling in. Mackerel fishing was undertaken as traditional grounds were unavailable following the extension of Iceland’s territorial limits, over fishing and oil price rises. The Arctic Corsair was converted back to demersal fishing in 1985 for the last phase of its working life. This experimentation with pelagic fishing is symptomatic of the changes Hull’s fishing industry and men went through in an attempt to adapt and survive within a changing industry. After decommissioning and purchase by Hull City Council restoration of further features were undertaken to give the appearance of a 1960’s side winder utilising parts from the diminishing Hull fishing fleet. The most significant features to survive intact through out - the vessel’s working history are the Mirlees Monarch diesel engines and the Charles D Holmes main trawl winch. Charles D Holmes was an important local marine engineering company who fitted out many trawlers after construction in local yards. The trawl fittings are original. Internally the accommodation is largely unchanged including crew and officer berths, cooking, dining and washing facilities. Some features remain from pelagic fishing including a pulley sheath welded to the starboard gallows and two block mounts for a set of stern fishing gallows. 1960’s features have been restored or replaced from other decommissioned Hull trawlers. Internal features of the wheelhouse had been stolen or vandalised when the ship was laid up in dock. 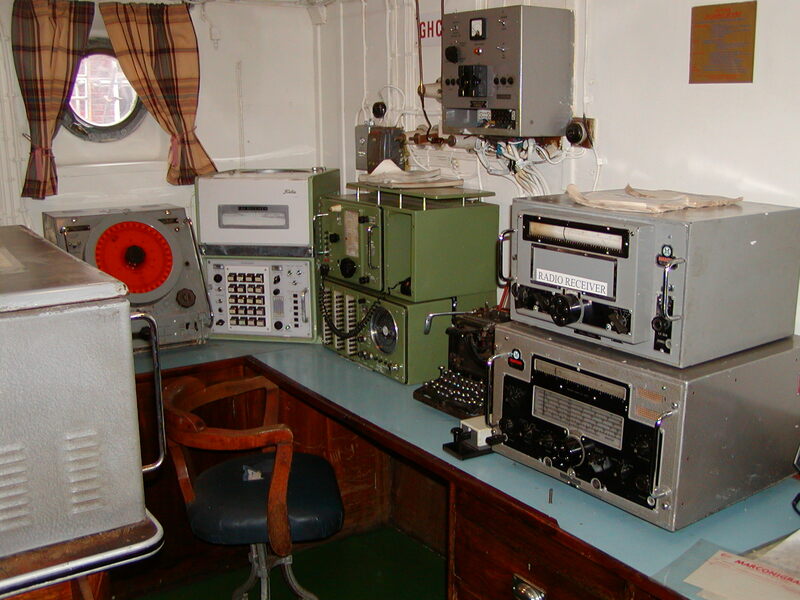 These include radio, radar and sonar equipment and the ship’s bell. Externally the ship’s work boat, trawl doors, bobbins and nets were replaced. The Arctic Corsair was one of the last distant water or deep sea trawlers to sail out of the UK. It represents the peak of side trawler design and technology. The technology and techniques used on the Arctic Corsair were a result of continuous refinements of the three revolutions in fishing introduced in the last two decades of the nineteenth century which industrialised the industry. These were the development of reliable mechanical propulsion allowing longer time at sea, the production of artificial ice to keep catches fresh and the invention of the Otter trawl. Within four years of the Arctic Corsair’s launch no further side winder distant water trawlers were ordered. There had been a step change in trawler technology with the development of modern freezer trawlers which landed their catch from the stern of the ship. Trawler design, working patterns and conditions on board plus the shore based distribution and processing industries all changed radically. The Arctic Corsair is the sole survivor of Hull's side fishing fleet which at its height numbered over 150 trawlers. Hull specialised in distant water fishing as a response to over fishing in near and middle waters. Travelling to the distant water grounds involved a 2000 mile round trip to Iceland or a 2700 mile round trip to Bear Island. The Arctic Corsair even made 5000 mile round trips to Newfoundland Grand Banks. Trawler technology evolved to meet the challenge of travelling large distances in extreme weather conditions, locating and catching a declining resource and bringing back that perishable resource. Arctic Corsair carries the distinction of breaking the world record in 1973 for landing the greatest weight of cod and herring from the White Sea. 1975 saw the trawler involved in the “Cod Wars” when Iceland extended its territorial waters and fishing limits from 12 to 200 miles from her coastline. In one of many clashes Arctic Corsair was rammed by an Icelandic gunboat. The ‘Cod Wars’, the loss of other traditional fishing grounds, and rising fuel costs all contributed to the decline of Hull and Grimsby as major fishing ports, and the decimation of the fishing fleet serving the industry. The Arctic Corsair’s owners only planned to return the ship to fishing in 1985 for 100 days in order to qualify for the government decommissioning grant. The Arctic Corsair then went on to break the UK gross fresh fishing record five times over the next two years. Twenty-two volunteer guides and maintenance crew, many with connections to the heyday of the fishing industry, help to run the ship on behalf of Hull City Council, which works in partnership with STAND. STAND currently has eighty-six members. However, the Arctic Corsair’s significance to Hull goes far beyond the numbers of volunteers and members. The Arctic Corsair is a symbol of the trawling past of Hull within living memory, and more significantly of the 6000 men and boys from the city who never made it home having lost their lives in similar vessels. These losses and memories are still very real for many in Hull and the country. How does the vessel’s shape or form combine and contribute to her function? “Sidewinder” trawlers were originally capable of landing large catches over either side of their hulls due to their heavy gear, overall size and extensive working deck areas. The Arctic Corsair in common with most post World War II trawlers landed catches over the starboard side. This allowed the port side to be higher, better protecting the men working on deck. However, they were subject to danger of capsize when bringing the catch in over the side. These vessels were therefore relatively broad in the beam and of deep draught in order to aid stability. The “whale back” fo’c’s’le was designed to shed the heavy swells of the North Atlantic and White Sea. The elevated bridge also allowed for good visibility in breaking seas. As with other sidewinders of her time, Arctic Corsair was capable of carrying ice in her fish-holds, but did not have the capacity to freeze catches as succeeding fishing vessels do. The Arctic Corsair is one of four sidewinder trawlers listed on the National Register of Historic Vessels (NRHV) and is one of two such vessels on the NRHV built in Yorkshire for the Hull and Grimsby fishing fleets. Her status on the NRHV is ‘Registered Vessel’. The ARCTIC CORSAIR is the last survivor of Hull’s massive “Sidewinder” trawling fleet. Built in Beverley by Cook, Welton and Gemmell in 1960 for the Boyd Line. In 1973 the ARCTIC CORSAIR broke the world record for the landing of Cod and Haddock from the White Sea. The extension of Iceland’s fishing limits to 200 miles in 1975 saw ARCTIC CORSAIR involved in the cod wars, during which she was rammed by an Icelandic gun boat. Hull’s fleet of over 150 sidewinders was hard hit by the loss of traditional fishing grounds and the fuel price increases of the early 1970’s. A few of the more modern and efficient Stern Trawlers continued to fish out of Hull during the final years of the decline in Hull’s deep sea fishing industry. ARCTIC CORSAIR was converted to Pelagic fishing in 1978 before being laid up in Hull’s St Andrews Dock in 1981. In 1985 she was converted back to conventional fishing and made a record breaking return to trawling. However by 1988 she was again laid up in dock, her registration was closed and she was re-named ARCTIC CAVALIER. The name ARCTIC CORSAIR, along with her valuable fishing licence, were transferred to the Havstrand a more modern stern fishing freezer ship in an attempt to maximise fishing quotas. After lying idle in Hull for 5 more years the ship was purchased by Hull City Council in 1993 and renamed ARCTIC CORSAIR once more. She is now moored on the River Hull as part of Hull’s Museum Quarter. 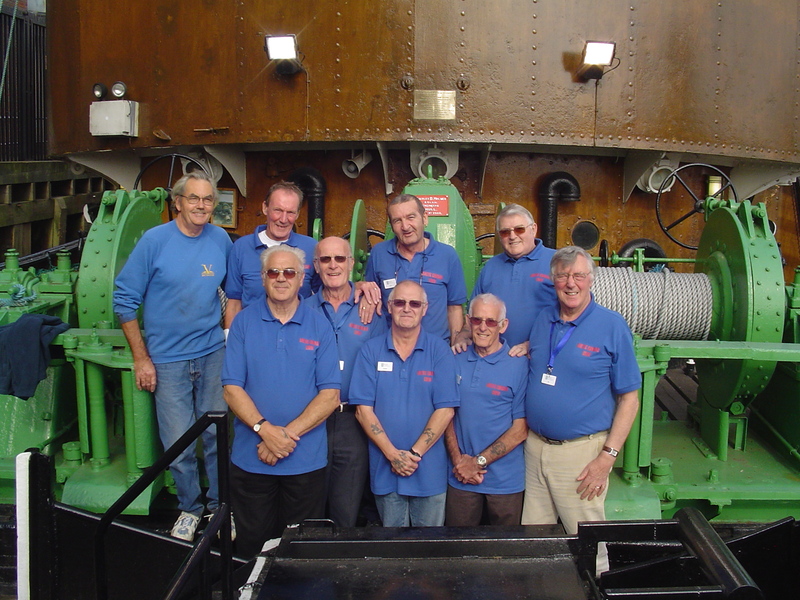 Volunteer guides, many with connections to the heyday of the fishing industry, run the ship on behalf of Hull City Council. Visitors can view the original crew’s quarters, the bridge and skipper’s accommodation and the engine room. The fish hold has been converted into a substantial display into the work of the trawler and crew at sea, and life in the fishing community of Hessle Road. Awarded a grant by ACE PRISM. Wheel house repainted and corrosion treated. 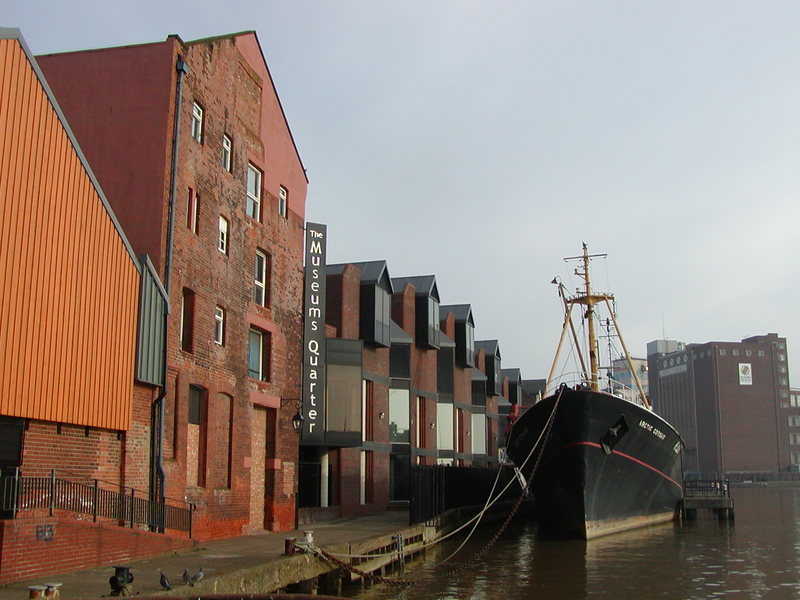 Wyn Davies Consultancy Ltd commissioned to write a Conservation Report for the Arctic Corsair, paid for by Hull City Council.